Supertop... the name says it all. All versions come with a patented track installation system, which eliminates snaps and gives a smooth, continuous weathertight seal. 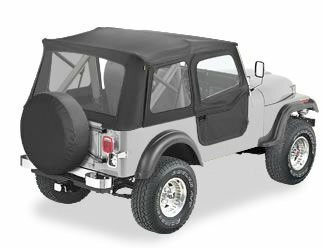 Supertops fold down on the vehicle without removal from the top frame, and all of the hardware stays on the Jeep®.